Operation Write Home Daily Bread Designs challenge to win for our deployed troops two boxes of gorgeous cards shipped for free! 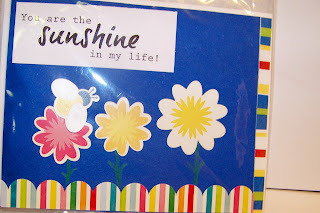 This month the challenge is to include flowers on your card. Here's the spring card I have. Since cards are sent early because of the time it takes to get there and back home from the solders Valentines are done Dec. 31, and winter Jan. 10. I'm starting on the next batch using spring for the general cards. Check out Operation Write Home for complete details. This is so pretty! Love the primary colors with the pink added! Happy to be a new follower here! It's so sweet of you to make cards for the troops!